The winds seemed to be perfect. South, Southwest and holding. When fishing lake Erie at any time of year if you are fishing the South shore these winds are what you need to help in your search of the golden creatures that swim in these waters. 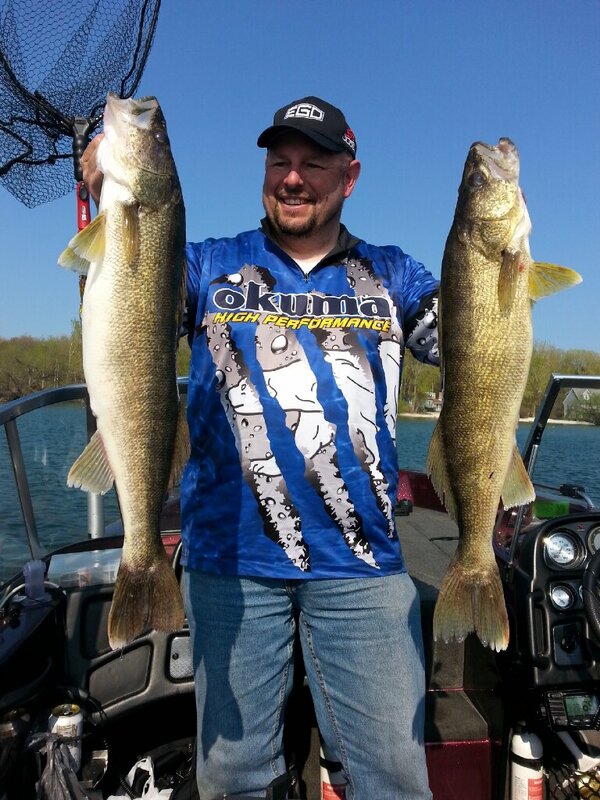 The fall feeding frenzy was on and the walleye were gorging themselves on the baitfish that they were schooling up. There were reports of limits being caught along the South shore and some of those fish were exceeding 10lbs! With the wind and weather forecast looking good my buddy and I made plans to fish Friday the 25th and saturday the 26th. An early morning departure put us on the water by noon and that is when things went downhill. Launching in the river we couldn’t see the bunks of the trailer 2″ below the surface. As we motored out into the main lake basin we saw nothing but muddy water. The visability was less than 6″ in the main lake and we set-up a troll to work from shallow to deep to see if we couldn’t find clear water. Prior to our departure we were unable to see the satellite images because of the cloud cover, but what we didn’t know is that the day after all of the heavy reports of fish being caught a easterly wind came through and muddied up the water pretty good. Lake Erie is a shallow lake and it doesn’t take long for the silt and bottom to churn up and turn the clean water into a chocolate Milk mess. That is exactly what we ran into. The water made it difficult to even properly tune our baits for the right presentation. Not to be dismayed we fished for 8 hours and worked the deep and shallow just hoping to run over a fish. We were marking the fish with good consistancy on the electronics, but with the water clarity we knew that the bait would have to pass within inches of a fish for them to even see it. With no hits and the thought of fishing in such poor conditions we packed it in and headed for home the next morning. We were not defeated, however. While most people have put the boats away for the season we were able to take advantage of this opportunity to get out and fish and although no fish were caught we were still fishing. And in the grand scheme of things that is all that matters. Fishing is just that! Fishing, not catching. It is the pursuit of those trophies that keep us going. It may have been a bust of a trip this time, but that doesn’t mean that it wasn’t enjoyable. Great company, some good food and an opportunity to fish while others were stuck indoors. That is what it is all about!.